The Vuze Bittorrent Client 5.1 has been released. 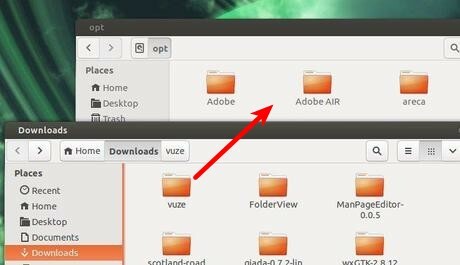 Here I’ll show you how to install it in Ubuntu 13.04, Ubuntu 12.04, Ubuntu 12.10 and create a launcher for Unity. Vuze 5.1 includes a number of updates to the client, providing an improved user interface (UI) with enhanced usability and efficiency, improved performance and some critical bug fixes (for example elimination of some deadlock conditions). Read the official release note. 3.) Open file browser, extract the downloaded package. Then move the result folder to /opt/. You’ll need to press Alt+F2 and type in gksudo nautilus to open file browser with root privilege. Now run command to bring up Create Launcher dialog. Now you’re able to launch Vuze from Unity Dash. Enjoy! Thank you kindly for the work you perform. However, your site and Webupd8 are BY FAR the best, easiy to follow, teaching aids I have found. Your dedication is very much appreciated!